Improper steering can easily cause fatal car accidents. Whether you're traveling at a casual speed, or on a highway, there's always a major safety concern if there's a problem with your car's steering alignment. The faults within your steering system need to be fixed as soon as they are discovered, and it's definitely not something to take lightly. One of the most common issues within the steering system usually revolves around the steering idler arm. If your car tends to pull to, and favorite, one side, that's a major sign that your steering idler arm is to blame. You may also be able to distinguish whether it's your idler arm or not by checking if your tire has become overwhelmingly worn out in a short time span, and listen for a distinguishable noise when turning a corner with your car. Not all vehicles have steering systems but it's fairly common amongst various passenger cars, SUV's, and smaller trucks. Assuming your automobile does have a steering system, there's a good chance that you have a steering idler arm within the steering gearbox. Certain vehicles may have two steering idler arms in the gearbox. You can easily check your service manual or look online to find out if your car has a steering idler arm or not. A steering system with an idler arm will usually have configuration for symmetrical steering. 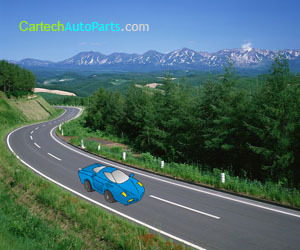 This is where the linkage that connects to the same place on both side of your automobile is of the same length. The steering linkage will form a mirror image as both sides will be perfectly symmetrical. The idler arm is located on the passenger side of your vehicle. It's to the opposite side of the frame rail to the pitman arm, which is basically the mirrored image of the idler arm. For vehicles with the steering wheel located on the left hand side, the idler arm will be bolted to the passenger side of the frame rail. Vehicles with the steering wheel designed on the right hand side will have a different design for the steering linkage configuration. The steering idler arm is primarily set in place to manage the passenger side steering for your vehicle. As your pitman arm moves, your idler arm will copy the movement like a mirror. The pitman arm is directly connected to your vehicle's steering gear so whenever you turn your vehicle in any direction, the pitman arm will be turned by the steering gear, and the idler arm will follow. The result from these movements is the steering linkage all turning together, and ultimately the tires will turn as well. With both the idler arm and pitman arm producing a mirror of each other, it makes the tires capable of moving in the same direction. There are three main components that cause the idler arm to function properly, the arm, pivot bushing, and ball joint that connects to it. If any of these parts has a defect, the whole idler arm will need to be replaced. Certain designs may allow the pivot bushing and arm to be removed separately, but most designs make it too difficult to disassemble a certain part from the steering idler arm. Whenever you're dealing with steering problems, you should always try to self-diagnosis the situation before seeking professional help. Whether you plan on replacing the idler arm, if it's the cause of the problem, or not is irrelevant, but it's essential to know what needs fixed (if possible) before approaching a mechanic. The symptoms mentioned at the start of this article are a good start to help determine if it is in fact your steering idler arm that is causing problems with your steering. You should also look online to get an idea of (or even purchase) the cost of a new steering idler arm. You can also find various guides on the web to help you replace the idler arm by yourself if that's the route you plan to take.